Shred Size? Shredder Security Level? How do I make a selection? Five years ago I wrote a blog detailing the issues when you are buying a paper shredder and trying to decide on the shred size or security level. Technology has moved rapidly during that time and I wanted to bring the discussion up to date by encompassing storage media. So how do you make the choice? As you consider shred size, here are two suggestions based on many years of experience. First, use the largest shred size that will meet your security requirement. 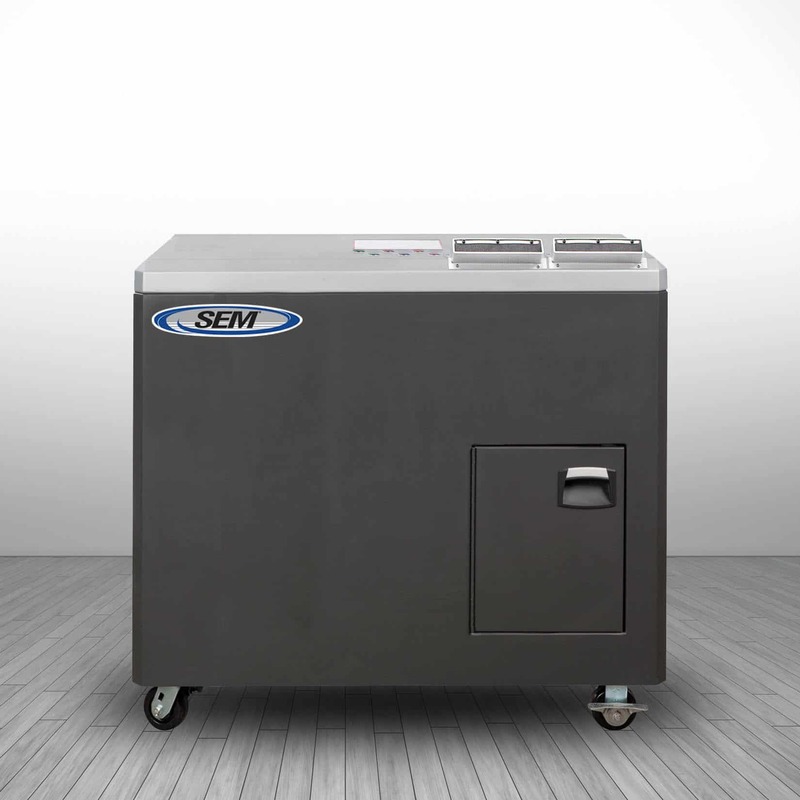 Models with larger shred sizes are generally more durable and offer more capacity at less cost. Second, there is security in volume. If your volume is heavy, you might consider a larger shred size. It is a more difficult task to reconstruct one-thousand pages mixed together than it is to reconstruct ten pages. Now what about a shred standard? A very helpful tool is the international destruction standard known as DIN (Deutsche Industrial Norm). The latest version is DIN 66399. The reason this is important is because it is used by all of the major shredder manufacturers for security ratings of the various models they produce. The DIN Levels are used in marketing and frequently end up as specifications in the government procurement process. They can also be very helpful if you are trying to establish a destruction policy for your organization. Let’s review how these standards work. P: Information stored on paper. F: Miniaturized information as on microfilm or microfiche. O: Information stored on optical media like CDs or DVDs. T: Information on magnetic storage devices like tapes, floppies or ID cards. H: Information on rotational magnetic hard-drives. E: Information on solid state media storage devices like memory sticks, chip cards, and solid-state drives. Here is how this works. Let’s suppose you are in a competitive industry and want good security, but don’t need anything like government classified. You are concerned about paper documents. So you select a P-4 rated shredder. P-4 security for paper documents is defined as a crosscut particle less than or equal to 160mm squared. Another option would be a strip cut shredder less than or equal to 6mm. Now let’s say you wanted the same security for your CDs/DVDs. That would mean that you would need an O-4 Level model that would shred particles of 30mm squared or less. If you wanted to destroy hard-drives to the same level, you would need an H-4 rated shredder that could produce particle of 2000mm or less. If after looking everything over you still have questions, don’t hesitate to give us a call: 800-225-9293. Our direct sales people have an average of over fifteen years of experience. Note: If you are destroying government classified information, you must use equipment that is listed on the National Security Agency’s various Evaluated Products Lists (EPL).